Think back to your childhood for a minute. Did you like to go on amusement park rides? 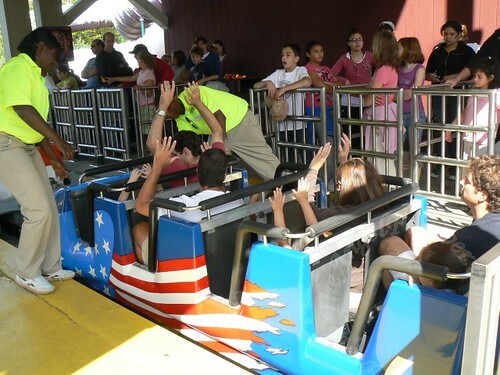 If you did were you more of a merry-go-round kind of kid, or did you like the thrills of any or all fast moving rides? Saturday at Six Flags we quickly confirmed that NHL is into thrills. He was disappointed that he was not allowed onto two rides that were interesting to him (you had to be 48 inches tall), but quickly found one that was his absolute favorite by the end of the day. After leaving Wiggles World for the first time, I convinced both of the boys to go with me on the Alpine Bobsled ride. 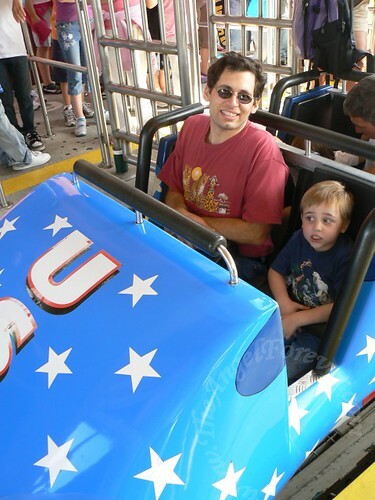 JL was not too sure about this, but I promised him it was a very fast yet controlled ride. The boys agreed and we went onto the ride in seconds since there was absolutely no line. Both of the boys were pleasantly surprised with the ride. NHL actually asked to go back on it immediately. JL took him on this time and I caught up with them for some photos. Here are NHL and JL in the Team USA bobsled. NHL was not looking at the camera since he was paying attention to the bobsled ahead of them. Next they come around to check and make sure the bars are in place and locked correctly. 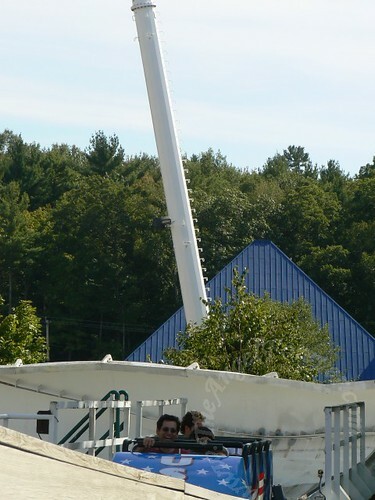 Then you wait for your bobsled to head up the hill of the track. Here are the boys on the last turn of the journey. Can you tell they like it? Oh wait, perhaps you can not see NHL since he is a little low in the bobsled (you can barely see the top of his head). Still you can tell JL’s response. This is just before coming back to the station. 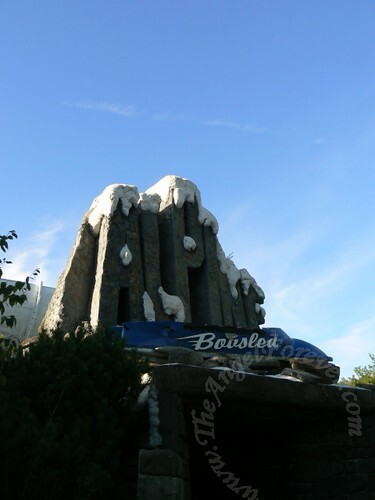 NHL adored this ride and went on it four times during our day at the park. In fact at one point when we offered to go back to Wiggles World he said "No Mommy, it’s boring there I want to go on the Bobsled!" LOL – that’s my boy! That does look like a fun ride! I remember when mine weren’t tall enough…so disappointing. 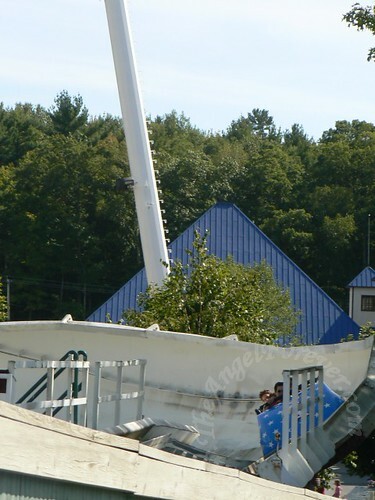 I’ve never seen this ride. It looks like a lot of fun. Those first trips to amusement parks where the kids are actually big enough to ride some of the rides always leads to new discoveries. :) W.W. wasn’t quite the thrill seeker I thought he would be, but I bet next year he’ll be over that. Glad everyone had fun.